Oscar winner's haunting turn as fabled actor arrives on U.S. screens this fall . 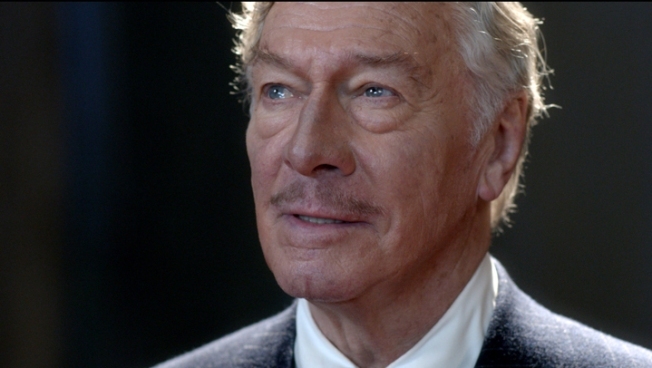 Could Christopher Plummer supplant himself as the oldest person ever to win an Oscar? You’d think so, by the thunderous palm-smacking that met the conclusion of “Barrymore” at a recent screening in New York. In May, a motion picture version of “Barrymore” will premiere in theaters in Plummer’s native Canada; U.S. audiences will see it in October. For the 90-minute film, recorded last year, Plummer recreated his Broadway performance for multiple HD cameras over a week at Toronto’s Elgin Theatre. In “Barrymore,” a fallen legend is coming to terms with his life of excess. It’s a path Plummer says he might have followed were it not for the course-correction provided by a stable marriage over the last 40 years. The actor attended the “Barrymore” screening recently in Manhattan, then took part in a Q&A with film critic David Edelstein. “We used to play a game on stage of making drinking dates while speaking our lines,” Plummer said, recalling drunken Broadway nights with pals Jason Robards, Peter O’Toole and Trevor Howard.